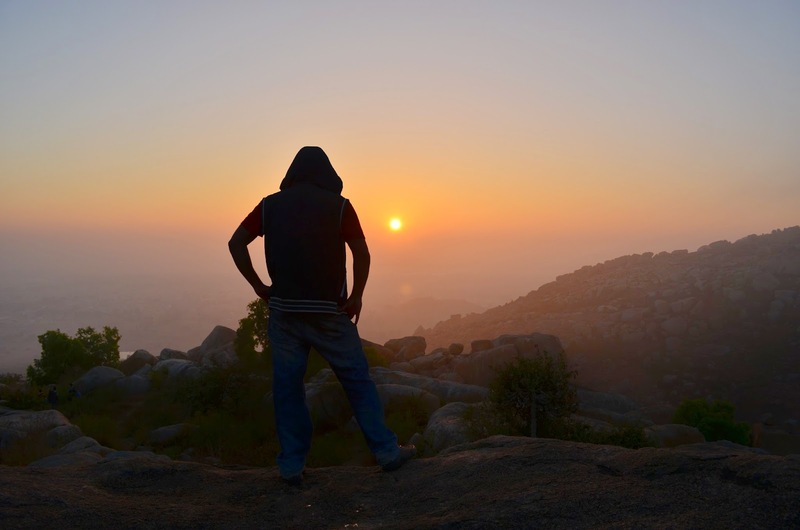 Anthargange is a mountain located in the shasthashrunga range and is situated just 70 kilometers from Bengaluru, Antargange in Kolar is a substantial field of volcanic boulders and rocks. These boulders, all heaped one on another create a whole network of cave-like formations and tunnels that make this a great place for cave exploration, light trekking, and camping. The hill is at altitude of 1712 mts from sea level. This place is known as south kasi because of Kasi vishweshara temple.A long staircase leads to a temple.There is a stone bull here with water flowing out of its mouth. No one knows the actual source of the water, which is how Antargange got its name (Antargange literally means ‘Ganges of the Deep’). An hour of climbing uphill leads to the approach route into the caves. The entire route twists through a dark maze of rocks, boulders, between cracks, and enters holes that sometimes will allow just one person to crawl through, all of which make for an enlivening experience. It’s well connected by train and bus. Bus will go almost to the top at either side of the hill. Enoromous space of campfire. Time to trek is around 2 Hrs. One word that wades you're your mind when you think of Skandagiri is walking on and above the clouds. 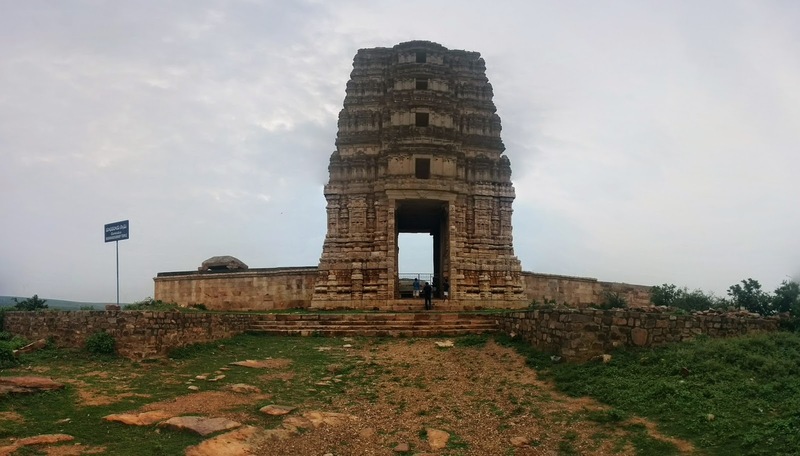 Skandagiri, also known as Kalavara Durga or Kalavara Hills, is an ancient mountain fortress. The peak altitude of Skandagiri is 1400 meters. 70 Km away from bangalore. Day -2 : Planned destination was Edakkal Caves, Soochipura Falls. On the way from kalpetta to edakkal we happened to visit phantom rocks which was really awesome. Its almost 2 hrs journey from kalpetta to edakkal caves,though the distance is very less, road was narrow. Dont forget have fruits,buttermilk etc on way from parking to edakkal caves entrance. Phantom rocks is on the way from kalpetta to edakkal caves. 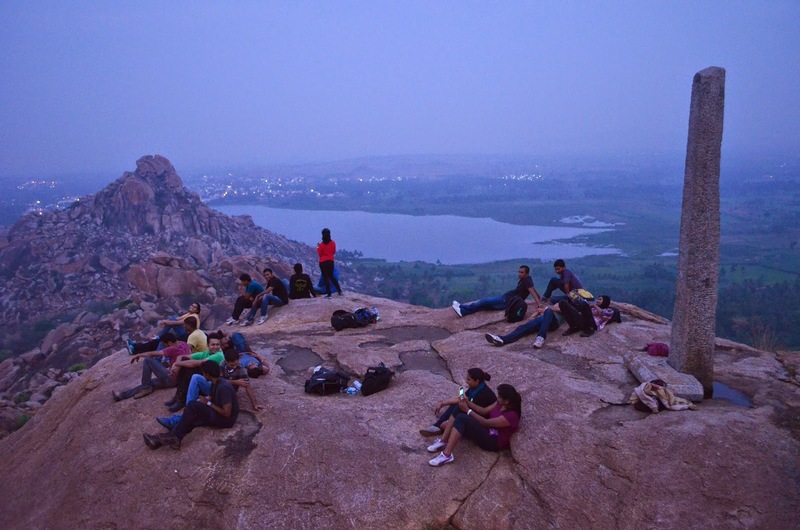 we dint had any plan for trekking to phantom rocks, we just happened to see and click from pics from very far,but looks like its very good short trek.Overall the 2 days trek and tour really awesome, 19 friends, beautiful memories. Only disappointment in the tour was soochipura falls which was not worth and forest officials did not allow to the chembra peak. The carvings inside edakkal caves is beleived that it’s of 6000B.C. One can find very rare Stone Age carvings. The carvings are of human and animal figures, tools used by humans. Caves are located at edakkal hence the name edakkal caves.Lies 25km from kalpetta, which is 1 hr journey and 1200metres above sea level on ambukutty mala.Edakkal caves were inhabited several times at different points in history.The caves contain drawings that range over periods from as early as 5000 BC to 1000 BC. 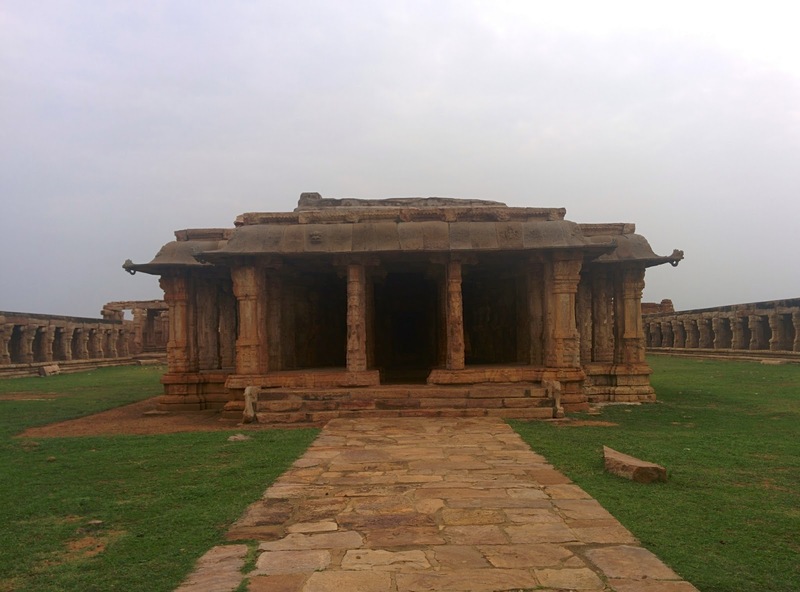 The youngest group of paintings have been in the news for a possible connection to the Indus Valley Civilization.Edakkal caves is maintained very well by the government. 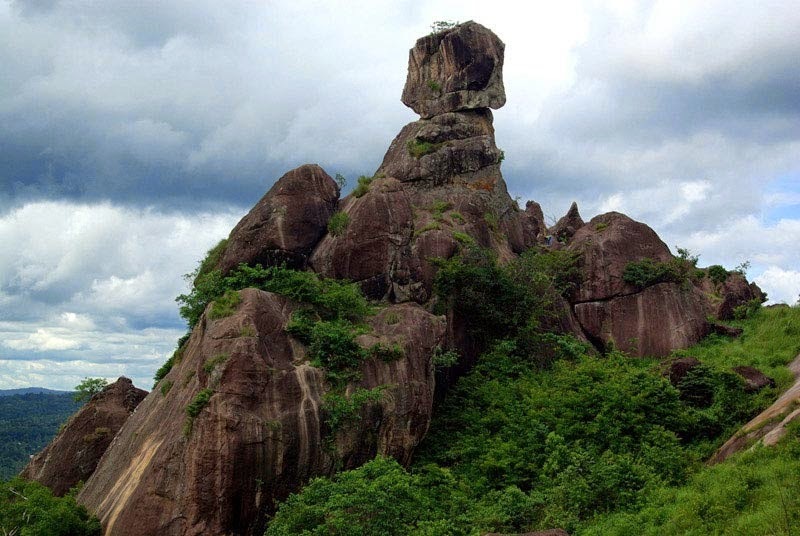 The Phantom Rock is a beautiful archeological site located in Wayanad district, Kerala.The piece of natural art which has a skull shaped rock over a small boulder is formed out of huge metamorphic rocks and is locally known as “Cheengeri Mala” or “Thalappara”. The serene environment surrounding the Phantom Rock of Wayanad, which is situated at about 2100 metres above sea level is an amazing destination for people who are seeking peace and solitude along with a bit of adventure.This picturesque destination which is 26 kms from Kalpetta; can be reached through a single narrow lane where trekking and camping are also popular activities amongst travellers. Entrance where they make sure you don't carry any plastic. It takes 10-15 minutes’ walk to the water falls and water flow is less during summer, which makes it easy to reach the rocks where water falls.Nothing interesting waste of time. Soochipara Falls also known as Sentinel Rock Waterfalls is a three-tiered waterfall in Vellarimala, Wayanad, surrounded by Deciduous, Evergreen and Montane forests. 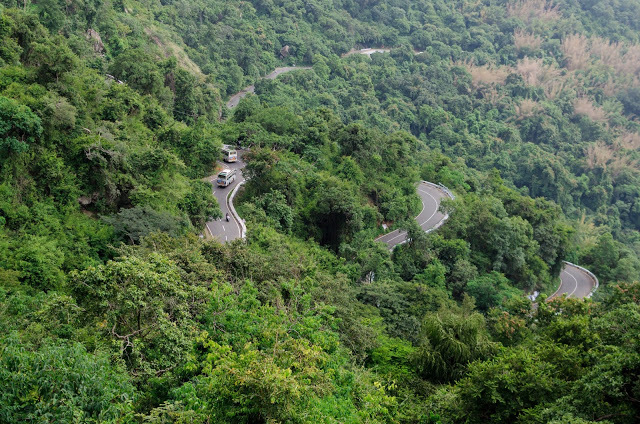 Locally referred to as Soochipara ("Soochi" meaning "Needle" and "Para" meaning "Rock"), the 15-20 minute drive from Meppadi to Sentinel Rock Waterfalls offers Scenic views of some of the best tea estates in Wayanad.